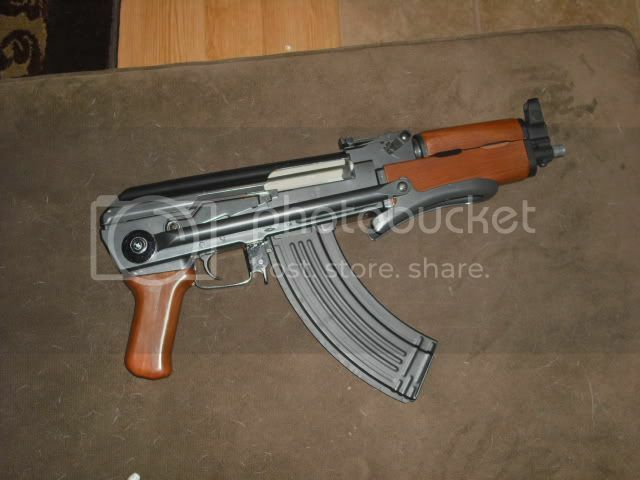 Thats a very unique set up for an MP5... I like it though. It's weird, but I like it.
" Dude! you can't shoot me here, I'm camping!" Location: Your mom's house hiding in the closet! It's about time I got around to posting my pics. I don't know what all's been done to the internals because I bought it off somebody that was getting out of airsoft, but I do know they have been upgraded. Middle: Echo 1 416 with a tight bore barrel (can't remember what I put in it), metal upper/lower AGM receiver, and about to put a better motor in it. 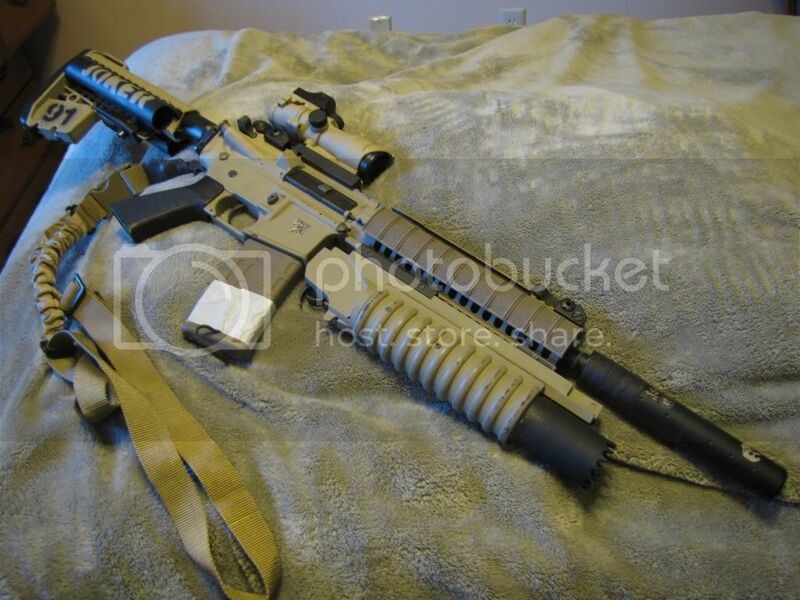 My first gun I bought when the E1 416 first came out and it still shoots like a champ! 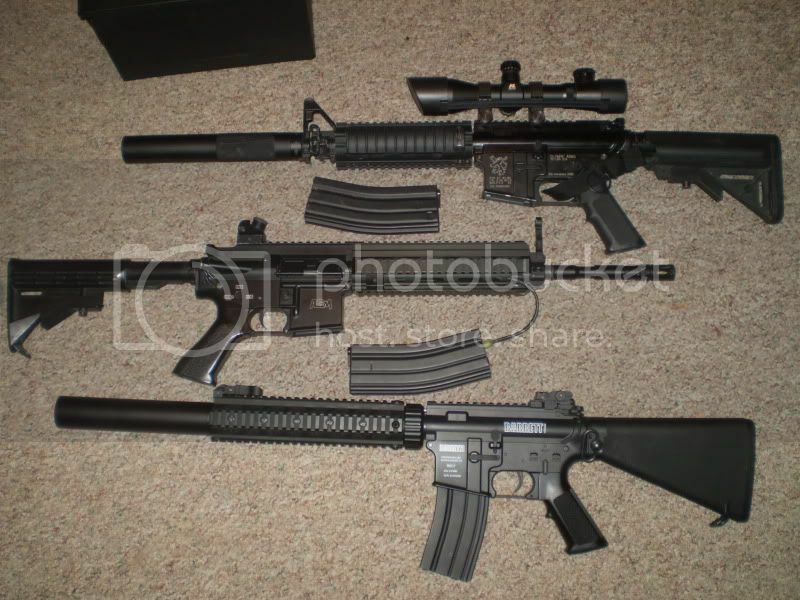 Bottom: Stock Echo1 "Barret" Rec7 with a foam filled suppresor. I think maybe 20 rounds through it since it was pulled it out of the box and it's never been used in any game. "This Stormtrooper knows how to shoot!" "If you try to knock me you'll get mocked. I'll stir fry you in my wok. eviljoe, I love the ridiculously large scope on the M4 at the top. This is indeed... a good looking gun. still waiting on the slant flash hider! 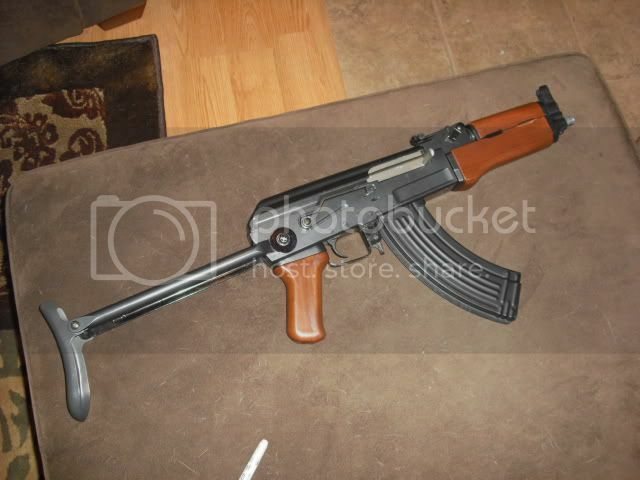 This is the OLD school way to build a short AK when the only ones you could buy were TM AKS's, AK's, and Betas. And it works really well too! 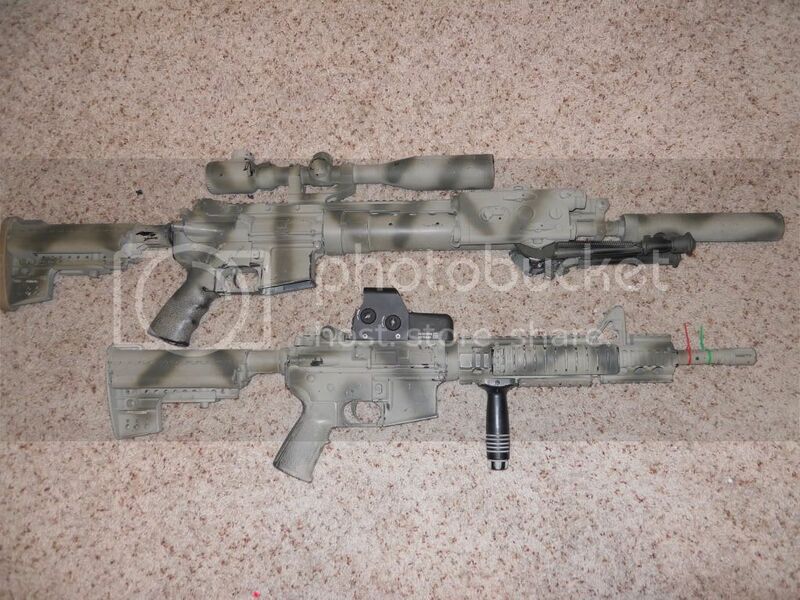 Mein KA M4, which is for sale...might not be after I played around with some accessories for it. Dug out an oooold BSA red dot just for looks. Longer tactical goodness with Sev's silencer on it. Short stubby goodness with a different flash hider. Soon to come for this thing: RAS system, Docter sight, KV stock, weapon light, finish with the Systema internals, and a lipo. This is a picture thread... Creat your own thread to ask your question. Yosh, where did you get your ready mag for the front of your bottom gun? I've never seen those before. Last edited by hoan.thong; 01-02-2011 at 05:58 AM. Always a fan of magpul, nicely done.